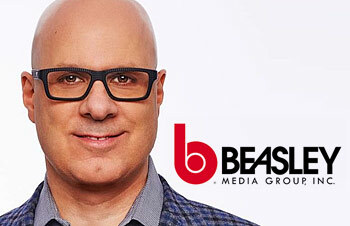 David Corey went from overseeing 105 radio stations in Canada to the seven Country stations owned by Beasley Media Group, but that doesn't mean the pressure to succeed is any less intense. Helping seven of the biggest stations in one of the most competitive and vibrant musical formats succeed has kept him focused and proactive. Here, Corey discusses his transition into Country radio and how he has used his Top 40 pedigree to help Beasley stations succeed. You went from being APD/MD at Kiss 108/Boston to Bell Media/Canada, where you eventually oversaw 105 stations. That's quite a jump in oversight. How did you view that challenge? When Clear Channel went through a restructuring in early 2006, I started looking for other opportunities, one that could really challenge me. I read about an opportunity in Toronto at CHUM, which was to be honest, a station I knew very little about. I quickly came to discover it was a legendary station itself. I felt kinda lucky that I fell into this great opportunity. In Boston, I learned from the very best programmers in the business ... Steve Rivers, John Ivey, Cadillac Jack and Tom Poleman, and so I took that knowledge to Canada where I enjoyed 10 ½ amazing years, going from PD to VP/Programming. Was Bell Media your first exposure to Country radio? Yes. I never had any experience in Country, but when I moved to the VP/Programming, that's when I started working with Country radio stations for the first time. And in 2012, I started managing a female Canadian Country artist named Kira Isabella. That experience also helped me learn the format, its artists and their music. It certainly helped pave the way for the job I have now. Kira, by the way, has done really well in Canada over the years; she briefly was signed to Hitshop Records in Nashville until they folded. How long did it take you to become comfortable programming Country? From a music perspective, it took about eight months to really get to know all of the music and artists. It also took about that long to get to know the Nashville record community. Many in the industry were new to me with the exception of a few that worked in the pop format in my previous KISS 108 life. That would be Dennis Reese, Diane Monk and Tom Martens, to name a few. Is programming Country successfully just like any other format, or are there significant differences? I see a lot of similarities to programming a Top 40 or a Hot AC compared to Country in that those formats live mostly in current music. As a matter fact, my approach to WKLB/Boston has been similar to programming a Top 40 in terms of imaging and overall presentation. And from a music perspective, we're not trying to break every single song, but we like to find the right songs to lead the way on. With that kind of approach, our audience becomes accustomed to hearing the best new music on our station. That's a very Top 40 approach to Country and that has done pretty well for us. Are you using the WKLB formula for success at other Beasley Country stations? Our programming teams look at their own stations and decide the best approach to use based on in-house research. What we are doing in Boston may not be the exact approach we want to take elsewhere unless that is the right strategy for that market. What are the biggest challenges you face programming Country radio? I'm still not used to the extremely slow chart. From my Top 40/Hot AC days, I'm used to a chart that moves a lot quicker. That's why a move from #50-#25 can sometimes take eight months, and that can be a challenge. I wish there were more Country stations that actually help songs move up the chart on a consistent basis. You can easily go a full year and play only one or two songs from an artist: even a superstar. That is crazy! A hit song is still the same song, whether it's at #73 or #3. You're almost describing a chicken-or-egg conundrum. Do the charts dictate radio airplay for hits (which describes programmers waiting till a record hits a certain chart ranking before adding), or does radio airplay dictate what becomes hits on the charts? I've always preached ... charts should not dictate airplay; airplay should dictate charts. How do you balance satisfying the desires of younger listeners who prefer the Pop side of Country with those who want to hear more traditional Country sounds? At WKLB, we target a certain very specific demo and we stick to that target with everything we do, whether it's the music we play, the appeal and focus of our personalities, the way we contest and market, or the way we image the station. Everything must be in line with that target listener. We are lucky in this format, though, that the appeal is very broad. Trying to balance how deep to go on the older versus newer music can come down to how you schedule your logs. Music flow is key and that is why we spend so much time on our logs each day. The art of music flow lives on. How often do you use research to ensure you're hitting that target? We research the tastes of the WKLB audience all the time and in several different ways. I shouldn't get in to this too much here, but we have seen great growth, from a momentum and ratings perspective, over the last year or so ... and that hopefully means that we are on the right track. Our ratings on the younger end have grown lots while holding steady on the older end. A consistent complaint about Country radio charts concerns the paucity of female artists. What's your take on the situation? I certainly do believe that this format, just like most of the others, should be well represented by both male and female artists. It's very important for labels to continue to find great female talent and it's just as important for radio to embrace those great female artists and songs, and give them the shot they deserve. I have heard, for a few years now, that research has shown that audiences want to hear male performers more than female. I'm not sure I buy into that. I don't disagree with the findings, but I do challenge the method of those findings. Basically, when you test a group of songs by, say, FGL, Thomas Rhett and Luke Bryan verses, say, Miranda Lambert, Maren Morris and Lindsay Ell, that is not really comparing apples to apples. The "male" example has songs in it that got massive amounts of airplay and so all of those songs became hit songs. Not the same for the women. Not even close. So, with that said, to me, that kind of research method is flawed. At WKLB, we are always searching for songs to play by female artists. And when we find them, we play them. We led the way on the Rachel Wammack song called "Damage." We didn't care where it was on the chart or who else was playing it. We just knew it was a powerful song that had the potential to be big with our listeners. What's your view of using syndicated and/or voicetracked talent for the weekday air shifts versus local programming? I'm happy to say that at 'KLB, we have live jocks on all day and night. We have very little syndication. Our full-time and weekend jocks do all shifts except for a Sunday night countdown. I believe that is part of the appeal of 'KLB -- our audience knows our on air team well. Even our part-timers. How do you spot the future on-air stars? Do you start looking for those who are strong on the fundamentals, or do you look for other characteristics first? I love looking for new talent. Sometimes, it might just be something I hear in their demo, or it could just be a sense I get when talking to them in person. He or she may not know basic radio, but they have that "it" factor. You can't always teach the "it" factor. You can teach everything else, but you're always looking to find that spark to build upon. That's what can give you a sense that they can develop into a great talent for radio. Just last month, we hired a new morning co-host on 'KLB who had no radio experience at all. She was an America Idol finalist 10 years ago, and also became a Boston College basketball star. She lived in Nashville for the last few years writing, recording and performing on a regular basis. So, she had that Country artist background and we felt that she could easily step into an on-air radio role. So far, so good. Are podcasts/digital platforms the new NTR? We're just starting to get into podcasting. We brought on a Digital PD at WKLB four months ago to help in this and other areas. His name is Tim Staskiewicz. Certainly from a digital perspective, there's a lot of room for growth for us, and Tim is helping to lead the charge. iHeartMedia has its Jingle Ball holiday tour. Would something like that for Country artists be in the works for Beasley Country stations? In Boston, we do some great events throughout the year. One particular show we do twice a year is the Country 102.5 Street Party. We close down the legendary Lansdowne Street, at Fenway Park, and throw an all-day party. It would be great to roll out something like that across our Country stations, but I know that all of our stations do their own events. There has been considerable debate in programmer quarters on just how to approach the streaming platforms such as Spotify, Apple Music and YouTube. There are those who use their data as a research tool; others are more skeptical because the most popular songs are other golden oldies and/or recurrents. Still others treat them like crosstown rivals. What's your take? When making decisions on what to play, the rotations and categories, we take everything into account. Certainly streaming has become a part of it. We want to know what's streaming well in our markets to help guide us. At the same time, we also do a lot of internal research and frankly, we still rely on gut. So although streaming has become a part of what we look at, that is only one piece. There are many other pieces to the puzzle that come into play. How do you plan for the future? Have you set three or five-year goals, or are you almost totally concerned with what's going on now and in the foreseeable future? The latter. My personal goal is to help our Beasley Country stations be the best they can be. We've got some great brands and talent out there. I am super-excited to be working with our talented group of programmers however I can, all while keeping a very close eye on WKLB every day.